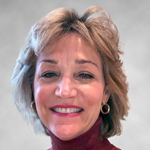 Betina Dufault has joined UHY LLP as the national director of financial reporting and quality control. As a member of UHY’s national office, Dufault acts as a technical resource for the firm’s significant audit practice, consulting with our client service professionals as they adopt new audit procedures and review new accounting principles. Dufault also oversees the firm’s extensive quality control and internal inspection programs and will facilitate external inspections conducted by AICPA peer reviewers, the Public Company Accounting Oversight Board and the United States Department of Labor.